It's awesome but like the old saying: iPhone leads and others follow. Apple has always been the Pioneer and nothing will beat that. Anonymous, 05 Aug 2011And SAMSUNG GALAXY S2 is the killer of both n8 and iphone4 thumbs up for samsunggo back to samsung forum and praise your samsung there! this is nokia forum! but hey, does samsung free issue a car battery for your sgs2? A lot of people are wondering why Nokia didn't choose to go with Android. How can Nokia differentiate themselves when Android is a lot more open and free than Windows Phone 7? As usual, the key to this is in the details. If you read the announcements carefully, you'll see that Microsoft offered Nokia something Google most likely didn't. What a surprise. Elop just confirmed Nokia has a special deal with Microsoft. Whereas HTC, Samsung, and so on are not allowed to customise WP7 - Nokia is, further confirming my theory. Windows Phone 7 is a new and young platform, and while reviews have been very positive, we don't know much yet of consumer response. Carriers and device makers seem lukewarm at best - HTC, Samsung, and LG are much more interested in Android than in Windows Phone 7, and I can't really blame them. At the same time, Android is already a major and established player, bigger than iOS and - depending on the figures - bigger than Symbian. And Google got there without Nokia's help. In other words, Google doesn't need Nokia, which means Nokia's negotiation position with Google is not a good one. In such negotiations, Nokia would need Android - but Android wouldn't need Nokia. During the Q&A during Nokia's Capital Market Day, Elop said that Android did not allow them to differentiate enough. This seems weird, since Android is considerably more open and free than Windows Phone 7. However, I think what he meant is that Nokia would not have a say in the actual development direction of Android. And this is where Microsoft comes in. The press release makes it clear that Nokia will get a considerable say in Windows Phone 7's development, and this is the crux of the matter. 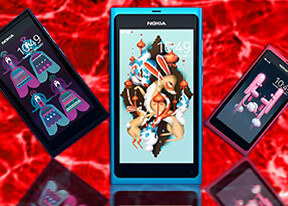 With Windows Phone 7, Nokia can differentiate from the inside-out, whereas with Android, all they could do was be at the mercy of Google and develop skins. Nokia had a much stronger negotiation position while dealing with Microsoft than while dealing with Google, and as such, Nokia managed to get a lot of influence not just after a new version is released, but also during its development. And this is why Nokia went with Windows Phone 7. And it makes sense, too. No phone maker currently has the kind of influence over Android that Nokia will have over Windows Phone 7. In other words, while Nokia will no longer develop their smartphone operating system in- house, they still have more influence over their OS than Samsung, HTC, and LG do. And that's the key. A lot of people are sad that MeeGo will not be Nokia's main platform. For MeeGo, this is bad news. For Nokia, however, this is great news. MeeGo's development is incredibly slow, and would maybe lead to just 1 (one) (!) device this year. That's not enough. That's too late. If you care about Nokia (as I most certainly do), you can't with a straight face advocate they stick to such a platform. If you care about MeeGo and don't give a rat's bum about Nokia - well, that's a different story. As far Symbian is concerned - it's been a dead end ever since the iPhone was released. We're four years down the line, and Nokia still hasn't managed to create a compelling touch-based interface for this otherwise decent mobile operating system. While I'm all for as much competition as possible, I can also see when a platform has run its course. Symbian is done for, it's dead, and I'm glad it's getting buried. It's a relic. I'm hoping the open source community can keep it alive for us enthusiasts, but for Nokia's future, it's a liability, not a strength. I'm incredibly excited about this deal. I've fallen in love with Windows Phone 7, but at the same time, I was a little scared of its prospects since it didn't really have a truly dedicated phone maker backing it. My HD7 is a great device, but nor HTC, nor Samsung, nor LG really care about WP7 all that much. This deal with Nokia will ensure the survival of the platform, and that makes me happy. It will also ensure Nokia's survival (I'm pretty convinced about that), and in the long run, that's a great thing. They would've drowned in the Android world, they would've sunk into irrelevance waiting for MeeGo, and they would've faced the eternal great hardware/bad software-problems with Symbian. Leak, 04 Aug 2011To be honest, leak really adore N9 but my mom won let me hold. I might be mistaken, i will hav... moreSay What????? [deleted post]What are you doing in this forum then?,,its only because you want N9 that you are in this forum..Otherwise why would you bother coming here?? i hate ifone so i dont go to that forum PERIOD..so you come to N9 forum because your curious and want one. still its nokia! Few steps back, wrong hardware choices, worst softwares, doesnt matter how hard tries to stay tuned, it just isnt enough!